The perfect finishing touch for your child's birthday party. 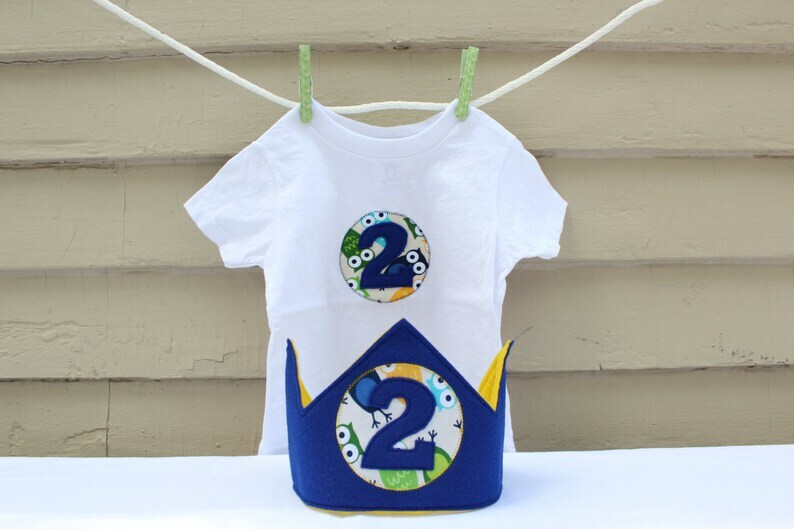 Tees can be customized with the number of your choice. In the "Note To Seller" section please choose the NUMBER you would like and the SIZE of tee (12M, 2T, 3T). Also specify which COLOR felt you would like for the number (I will choose a coordinating fabric, if you have a specific request let me know).